Identity, Integration & Wellbeing - What is it like being young and living in Britain during Brexit? Filmmaker Farai Chirimuuta led digital workshops with young women from Shenley Brook End School and Hazeley Academy to look at what it's like living in Britian during Brexit and associated themes of Indentity, Integration and Wellbeing. Discussions were held around the effects of emerging technology, pressures of social media and ways of adapting whilst keeping our own identity. An increased pressure to share online has led, in some cases to social isolation and in turn this has negatively affected mental wellbeing. 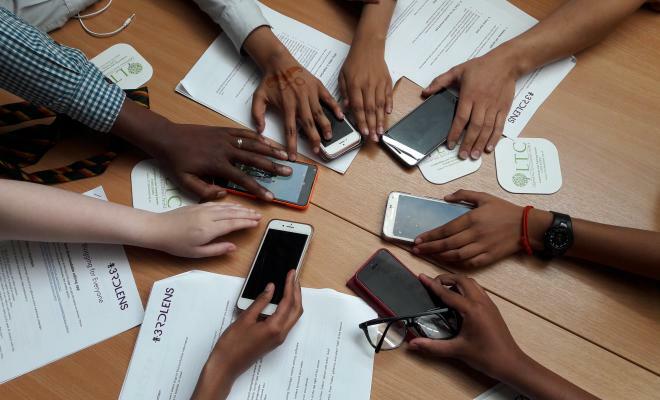 As many of the young women participating were from diverse communities, it was good to explore how the media portrays ethnic minorities and refugees through the project. The young women had the opportunity to develop film making skills such as editing, sound and video recording. Their work will be screened and viewed by an audience of their choice. "The teacher reported that through this experience the young women have increased their creativity, self confidence and made new frends". The pilot project is a great success and we (MKIAC) are currently developing the programme further.